Ever since Pony from PonyMakeup used the Chosungah22 24H Raybeam Cream in Pink Glow in a video, I was convinced I needed it. I still waited a few weeks until I actually made the purchase, but I immediately got it when I saw it in person. This product is a "correcting base cream" that highlights and smooths out the skin. It contains 0.51 ounces / 14 grams of product and retails for $28 at Sephora. The packaging is pretty hygienic for a cream product! It's clunky, and I do feel like a squeeze tube would've also been better but I do like the gimmick of the push-to-dispense packaging. Less air gets into the product and any excess product kind of stays at the top instead of being sucked back into the packaging. It also came with a round flat sponge, but I tossed that out almost immediately. 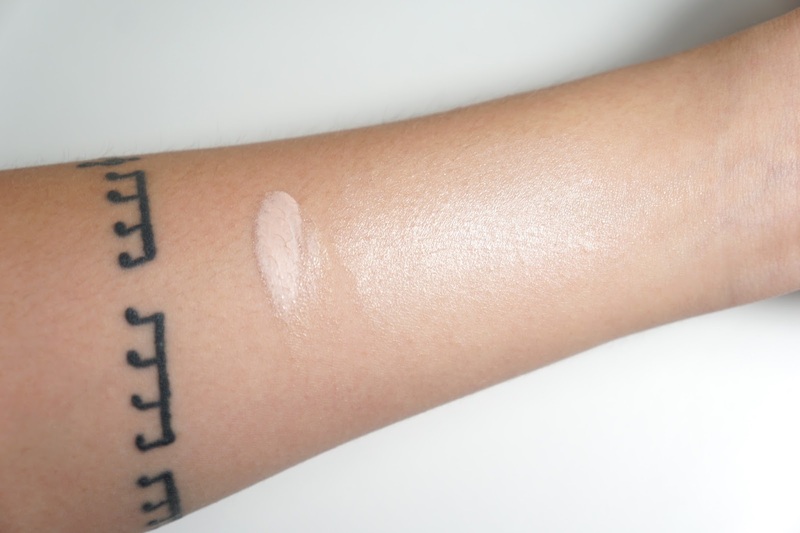 The product initially dispenses out as a pale pink cream that is actually quite brightening. When spread out and blended into the skin, it isn't as pink anymore and leaves behind a dewy finish with the slightest amount of shimmer. If anything, it looks like I just applied extra moisturizer on my face to get a healthy glow. 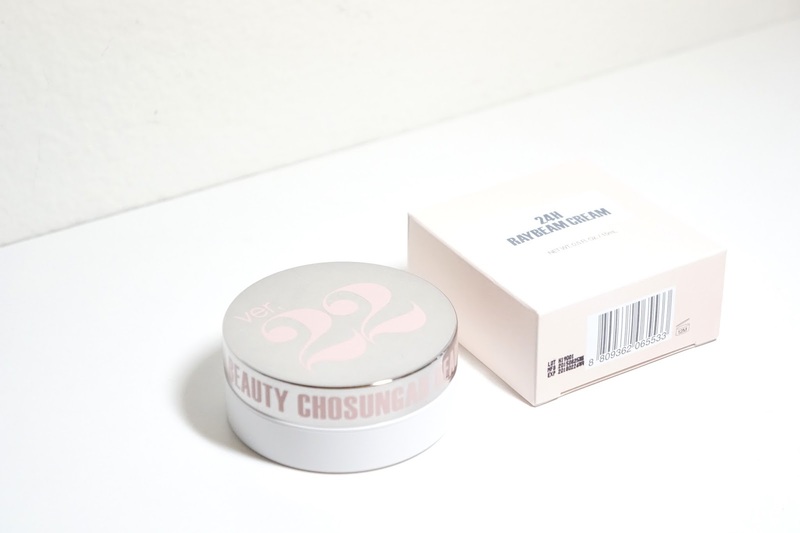 The texture is thicker than a moisturizer like the Glossier Priming Moisturizer but it still feels light and quickly absorbs into the skin. It does add some moisture and so if you're very oily, I would not look into this product unless you have normal/dry cheeks. I guess if you're very oily and just use this as a moisturizer, it could work out but you wouldn't get the same skincare benefits. I've tried other liquid highlighters and none of those gave me as much moisture as the Chosungah22 24H Raybeam Cream. This aspect of the product is one of my favorite things about it though and plays into the whole healthy glowy look. As you can see, there is a glow on my cheekbones but it's still subtle without looking metallic like some other powder highlighters. To me, I don't see any shimmers unless I look really closely and this look does stay on all day without any touch ups. I feel like this product gives me a similar "voluminous" look that I often see in South Korean beauty ads as well. It's very natural and subtle, but still enhances my features in the best way. Kind of sad that my hyperpigmentation distracts from the gorgeous strobing look I was able to achieve with this product. Weirdly enough, there is a slight baby powder smell to this product. It does go away very quickly once you apply it to your face, but I do kind of find it comforting and so I don't mind it. Final thoughts: If you're into subtle/natural makeup looks, I highly recommend checking this product out! It's quite different than other liquid highlighters I have and I can't get enough of it. Since this product does help moisturize my face, I also find that it is "plumping" and so I don't have to worry about uneven skin texture as much. The healthy glow it gives me also lasts all day without feeling sticky or tacky and that's another plus for me since the weather has been too hot lately. If you want more shimmery highlighters, I would either stay away or use it underneath powder highlighters. 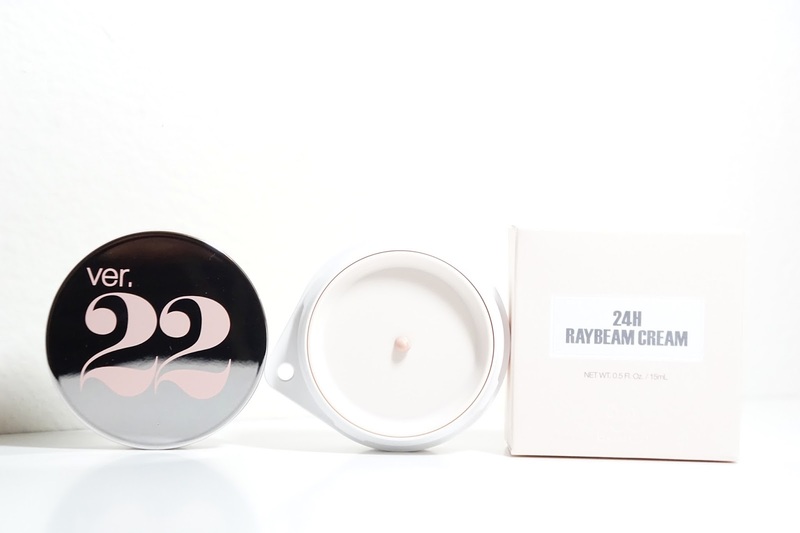 Do you have the Chosungah22 24H Raybeam Cream in Pink Glow? 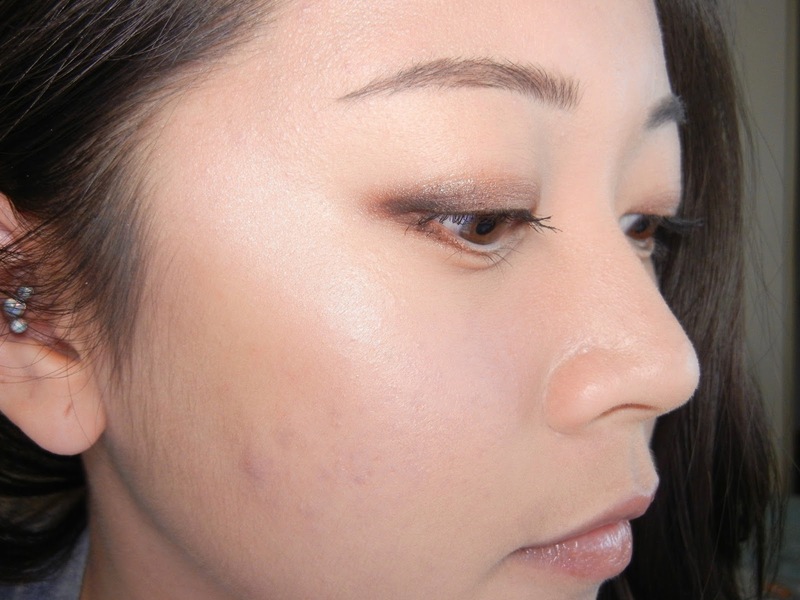 How do you feel about subtle highlighters?